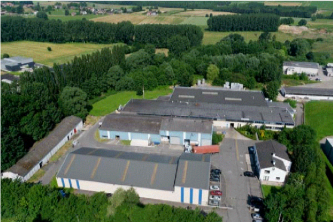 In 1978, a family that had been involved in textiles for generations established a business specialized in auxiliary products for the textile industry : EURODYE was born. In 1983, it had the opportunity to enter into a partnership contract with the Crosfield Textile Chemicals (CTC part of Unilever). This allowed EURODYE to gain experience and a world-renowned reputation. In 1995, it has gone from a partnership to the purchase of CTC. The EURODYE-CTC enterprise has since developed an international marketing network to distribute the specialized chemical products (auxiliaries, dyeing agents, pigments, enzymes, “special effect” products) all over the world. 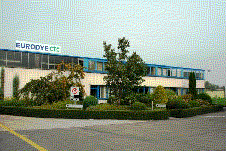 In 2000, EURODYE-CTC greatly strengthened its financial structure and equipped itself with the best assets automation of production tools, creation of specialized laboratories, centralized management ERP. In 2018, EURODYE-CTC has acquired the Stephenson Group Textile Chemicals business. Stephenson Textiles will form a key part of the Eurodye-CTC business future. Stephenson Textiles began in Yorkshire, England in 1856 and formed the back-bone of the Stephenson business for over 150 years. 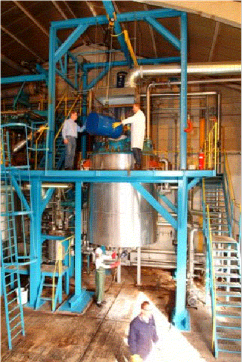 Eurodye-CTC was the best partner to ensure the long-term prosperity of its Textile Chemicals business. The work carried out by a passionate team and the commercial development dynamics of EURODYE-CTC have been recognized and awarded on several occasion. These include one nomination for the company of the year, the “Gazelle” award for exports, and the Walloon export company.